NOTA is a collaborative virtual notebook that allows you to collect and control the layout of multimedia assets on individual NOTA pages. NOTA allows you to add different media types to a note page which you can work on by yourself or in collaboration with others you designate as editors. Just register and login to start. When you access your note page, you access text and drawing tools. 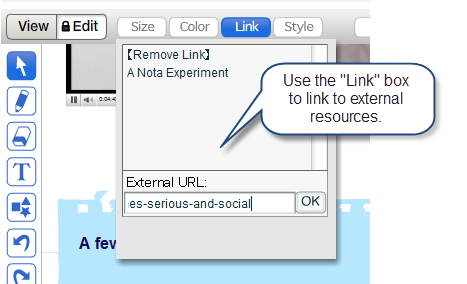 You can also add links to external resources. Additionally, you can add text directly from Wikipedia. A particularly nice feature of NOTA is the ability to upload a variety of different file types to a note page (e.g., pdf, WORD, PowerPoint files). It’s easy to add images. 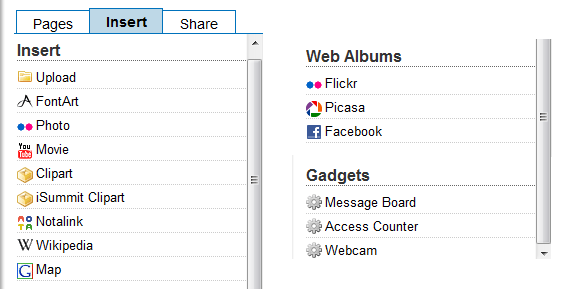 You can upload images from your hard drive, add image urls, or search image sharing sites like Flickr, Picasa, and Facebook. 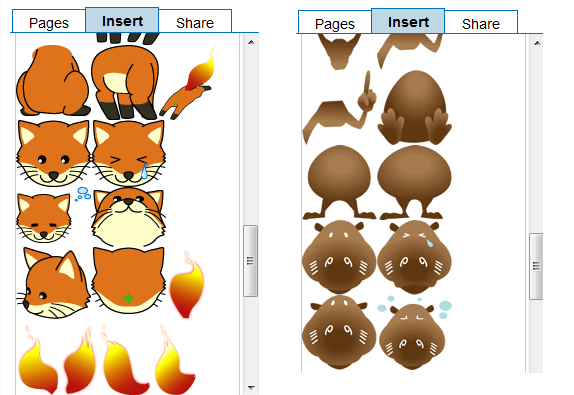 You also have a variety of clipart selections to choose from, including parts from animated characters (a fox and hippo) you can mix and match to create more dynamic images. 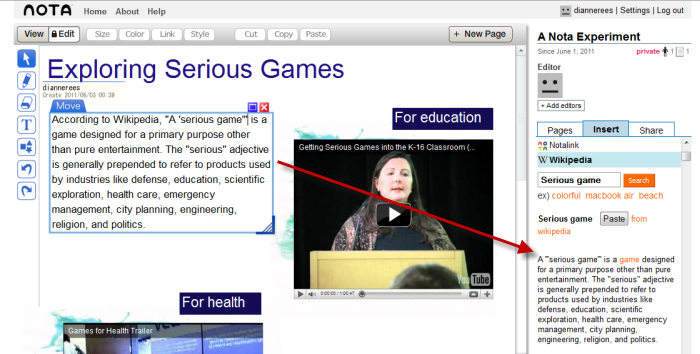 You can add multiple videos (e.g., from YouTube) to a page in any orientation you desire and annotate these with text. 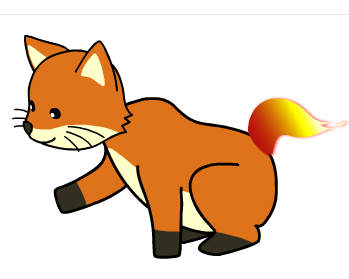 Finally, you can share NOTA in a variety of ways. When you embed a NOTA, the system automatically updates your content as you change it. 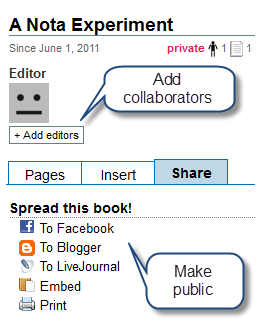 You also can share a link: My NOTA experiment. Learners can use NOTA to take notes and can update their notes later with multimedia. As an instructor, you can take advantage of the multimedia elements of NOTA (e.g., images, videos, and file sharing features) to quickly create virtual worksheets and information organizers. For example, you can use the text features to pose questions and direct learners to different media resources for their answers.